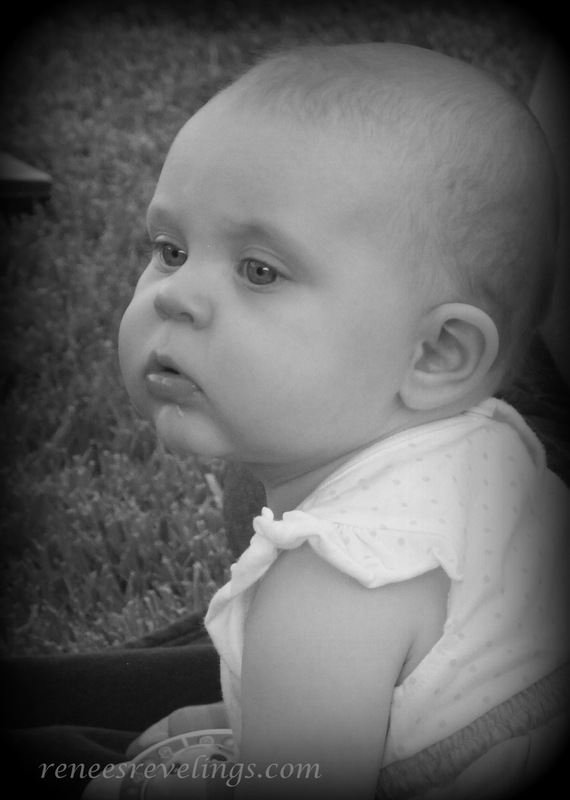 Our beautiful, baby granddaughter is already 6 months old. 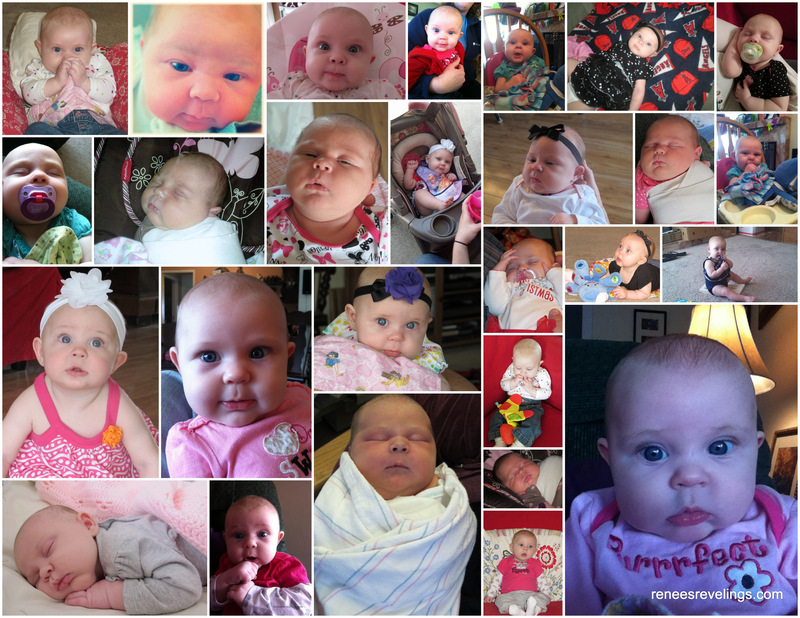 She is growing and changing so quickly that I wanted to share a little pictorial of her life from birth to six months. Madison is the rock star at our family parties, and wants so badly to be running around with her big brother, Evan. She is already sitting, crawling, and pulling herself up on the furniture. My daughter calls her “the little daredevil”. This collection of pictures was taken by almost everyone in my family. We love to post and share our pictures on our family Facebook page. It’s a great way to share the family happenings with relatives who don’t live near by. Isn’t it amazing to see the transformation of this little being in one group of pictures. I get a little awe-struck every time I look at all of them, and think, we were just welcoming Madison into the world last November. Wow! The sweetest moments with Madison are the moments her big brother walks into the room. Evan says a sweet hello to her, and Madison’s face lights up with a huge smile. That’s the kind of moment where you just want to put the world around on “pause” for a while, and savor the love that surrounds you. Thanks Lynn – glad you stopped by for a visit today. Thanks Jennifer. It was so hard to choose just a few to share. glad you stopped by for a visit today!